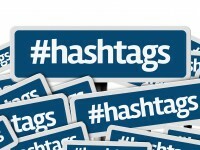 Hashtags are in social networks like Twitter and Facebook a popular function to be grouped content by users. This plugin adds exactly this proven functionality in your community. The idea for this plugin is not new and has already been implemented several years ago by Netzwerg. The plugin has a lot of active users, however meanwhile the development was stopped and the plugin is no longer maintained for months. Lately I have received a lot customer request, which asked me to create an version of this plugin. Together with @Cyperghost (HostingTime.de) we have completely redesigned the plugin and make it now free of charge available to the community. The hashtag support recognizes hashtags in posts, articles, comments, shoutbox entries, etc. - simply everywhere. To ease the usage of hashtags we added an integration into the WYSIWYG editor including the well-known auto-completion. Hashtags are automatically detected and used to tag the object and link the entries for searching. The linked search returns all objects which also use with the same hashtag. The plugin is a great way to revive the forgotten functionality of tagging. Automatic linking of hashtags in posts, articles, comments, etc. From our side there are is no technical limitation, thus it is supported even in third party plugins.